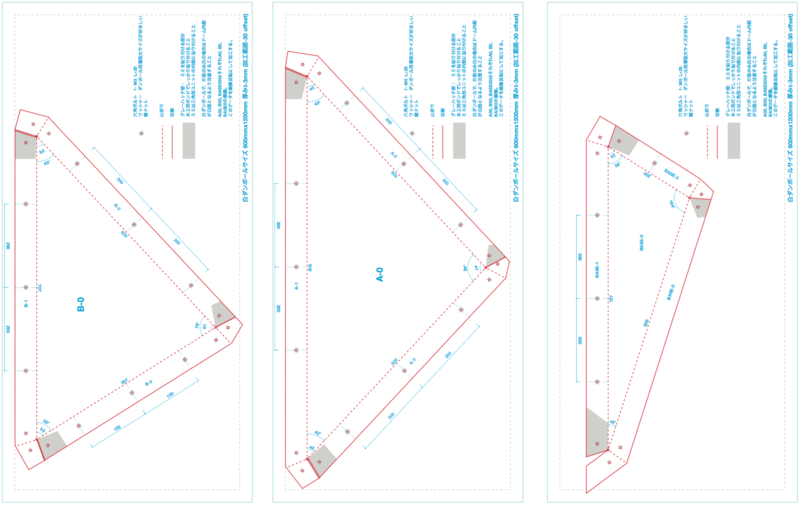 Bend and fold the edges of a triangular parts and make a triangular unit. 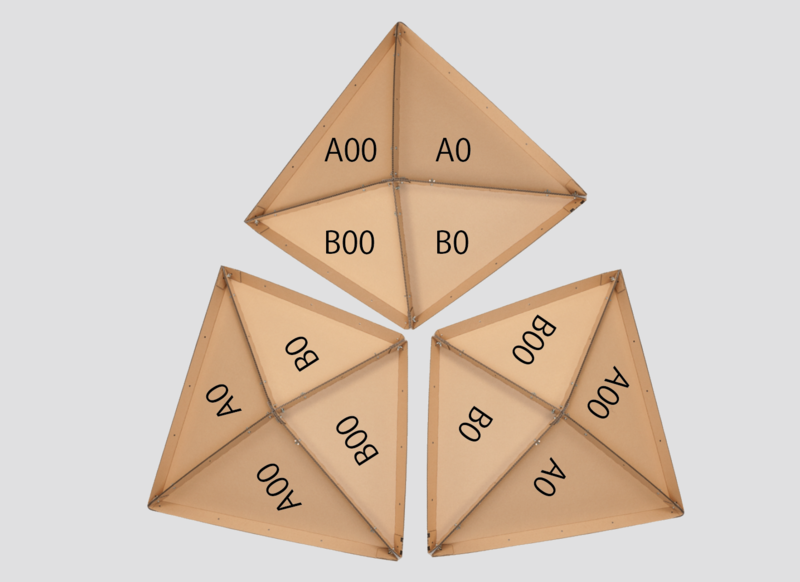 Make four types of triangular units. 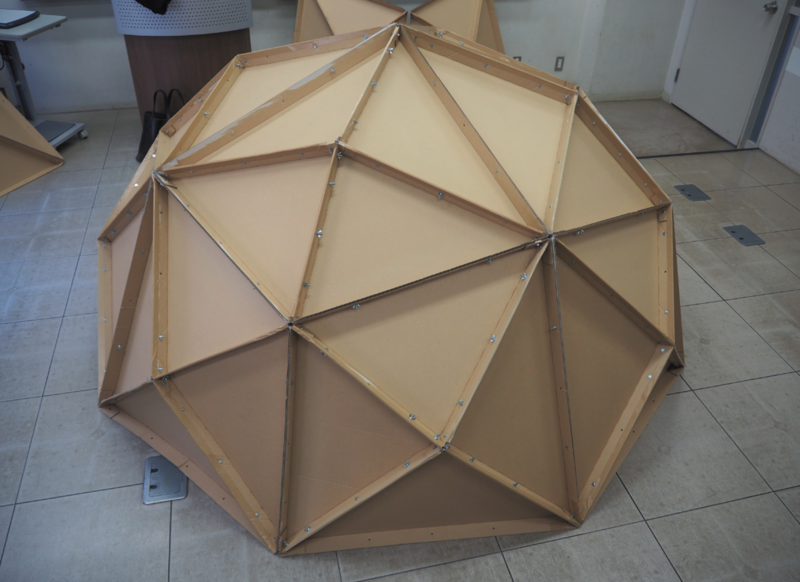 For building a dome you need 20 units of each type. 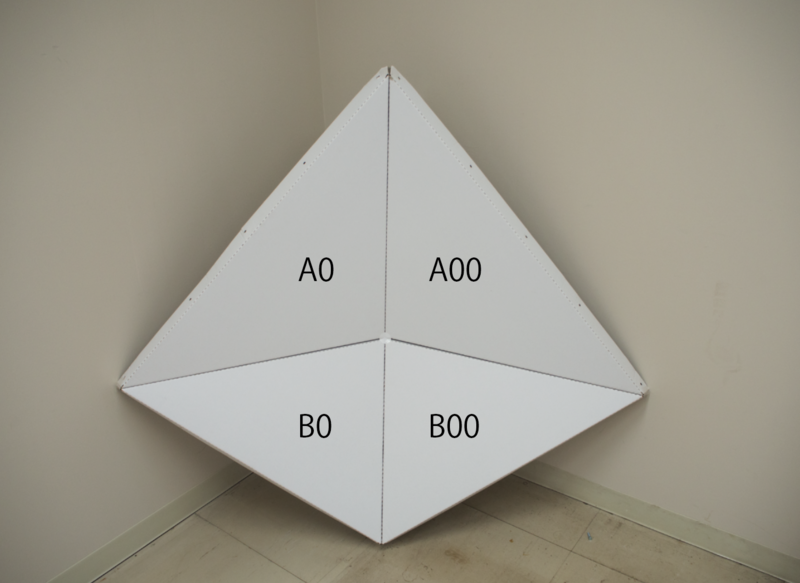 Assemble units A0, A00, B0 and B00 that compose a large rhombic unit. 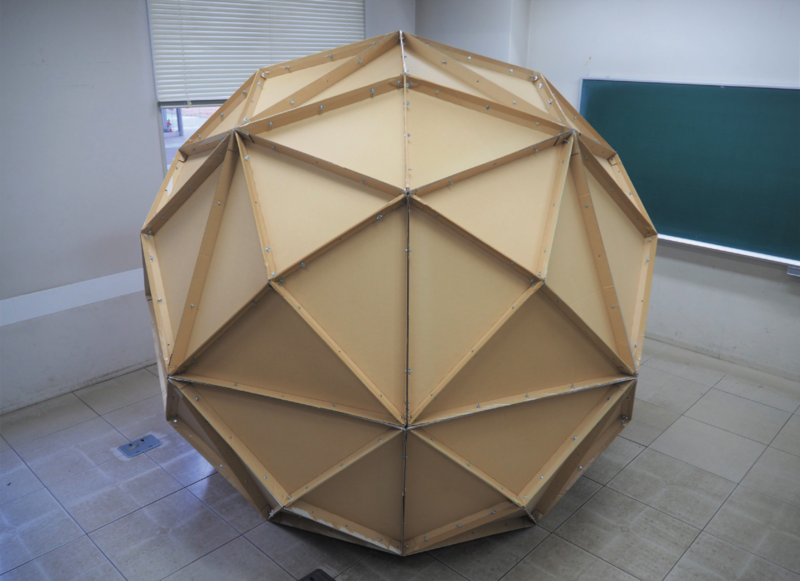 For building a dome you need 20 rhombic units. 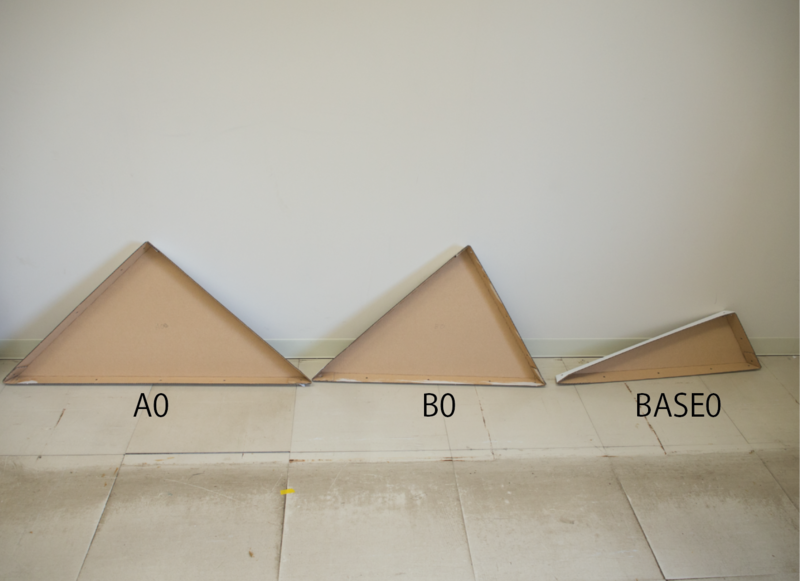 Layout three rhombic units on the floor. Assemble these rhombic units units that compose a lface of spherical octahedron, that we call a octa-unit. 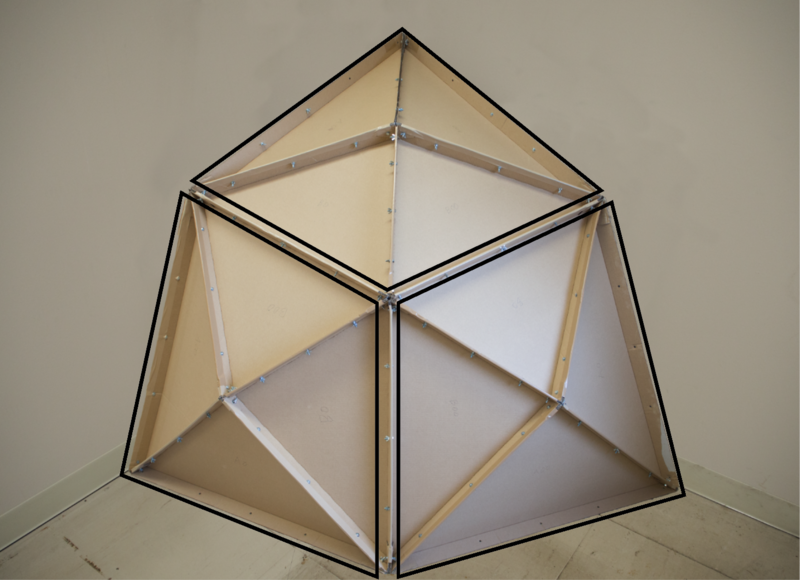 For building the upper hemisphere of a dome you need four octa-units. Assemble two of them first. Assemble another two of them to build upper hemisphere that we call North hemisphere. Proceed to constructing lower part, that we all south hemisphere. 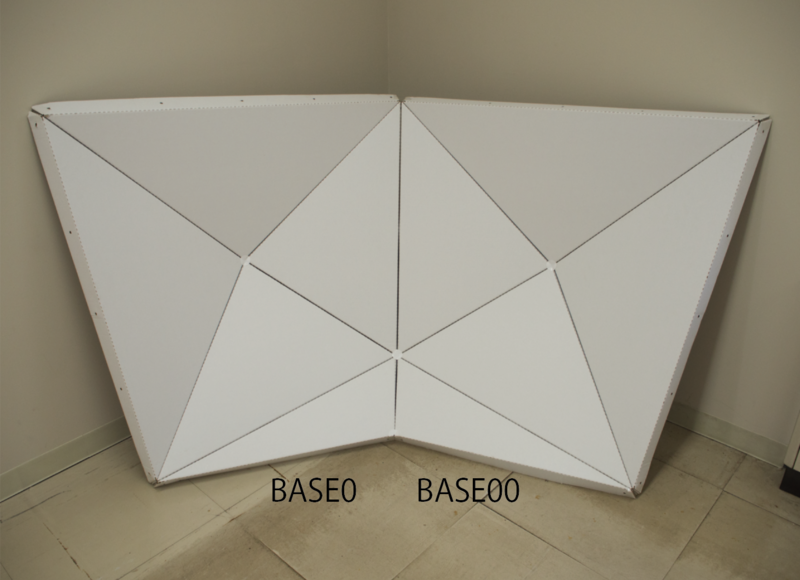 Prepare and layout the two rhombic units and a Base 0 unit and a Base00 unit on the floor. 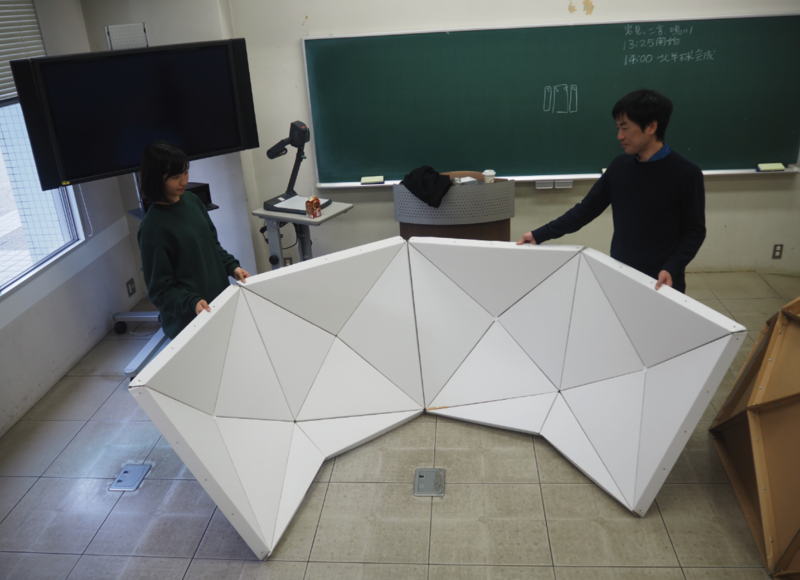 Make four South units and assemble them. 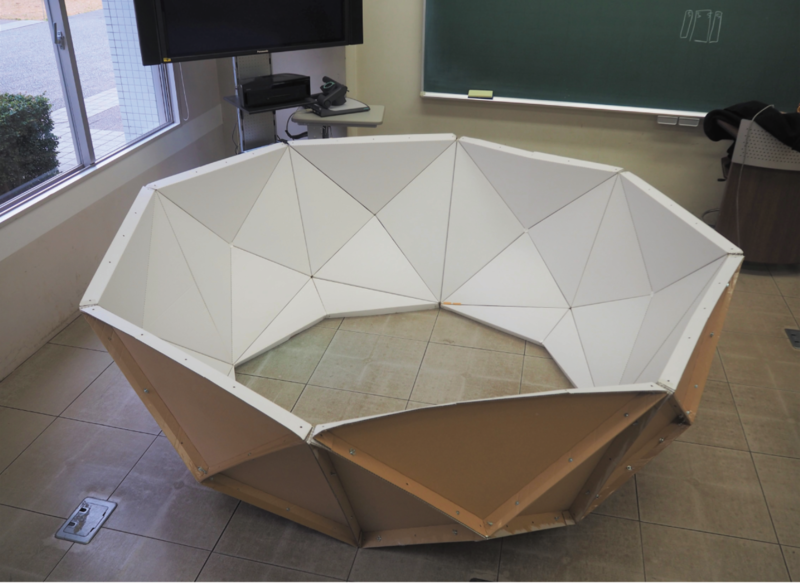 Four units compose the lower part of the dome, a part of South hemispere. 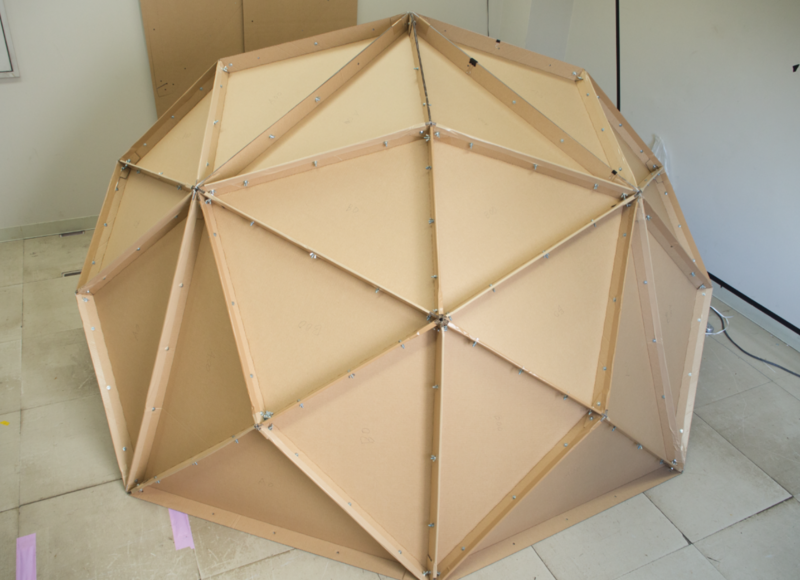 Lift up and place the North hemisphere on South hemisphere that is the lower part to finish dome construction. 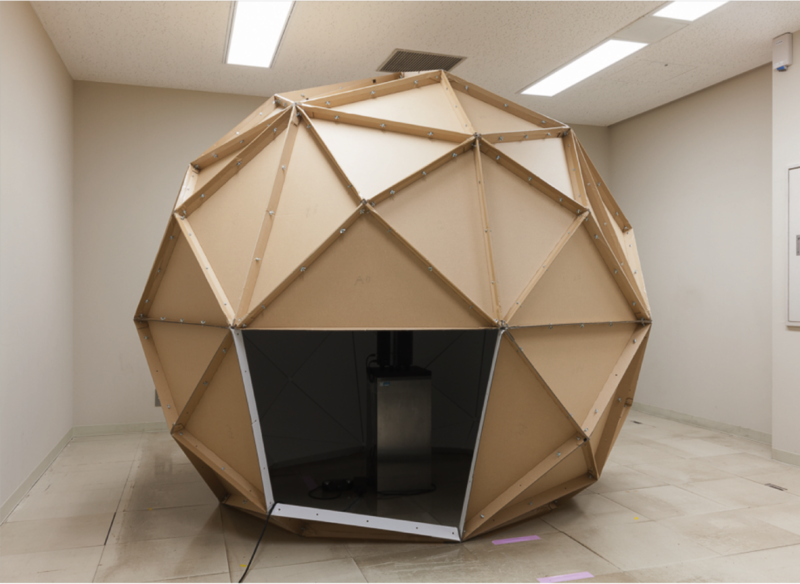 Dome obtains its original strength and stability after whole dome constructioin is finished. 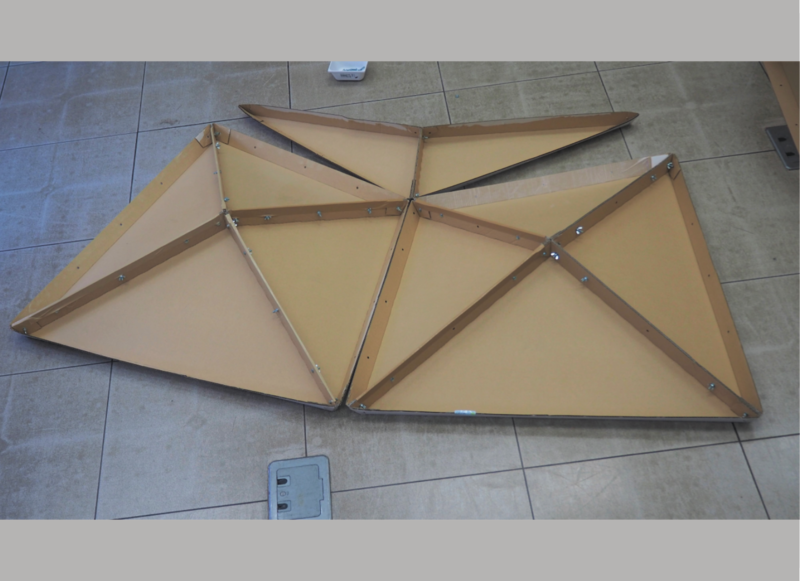 Then remove a rhombic unit for making the entrance.